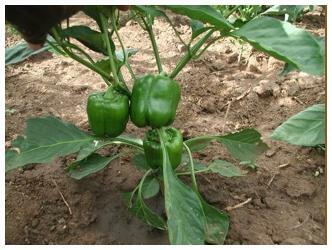 We are currently developing an agriculture improvement program. 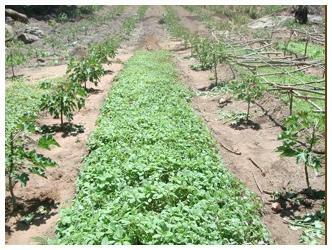 This program initially consists of intercrops grown between rows of Jatropha trees. Intercrops produce valuable food crops in the period while the Jatropha trees are maturing. The crop products are used at the English school, the local nursing school SONAB (School of Nursing at Berega) and are sold in the local village. Intercrops help keep noxious weeds out of the Jatropha fields. They use water for food production that otherwise would be wasted and growing weeds. Our intercrop projects is designed to show local farmers how to use best growing practices including irrigation, fertilization with compost material and pest control. By utilizing best practices, farmers can increase crop production and generate revenue to pay for food, medicine and education. Our project includes maize, tomatoes, amaranth, onions, chinese cabbage, cabbage, Collard greens, okra, swiss chard, bell peppers, chili peppers, common beans, cucumber, carrots, watermelon, bananas, grapes, passion fruit, pigeon peas, pineapple, potatoes, strawberries, sunflower and sweet potatoes.